November 18, 2013 | David S. Maldow, Esq. 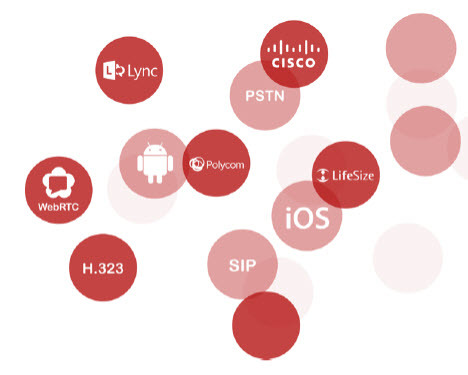 Here at Telepresence Options we are working to provide continuing coverage of the potentially revolutionary WebRTC protocol. The evidence, both anecdotal and statistical, of increased adoption and user satisfaction related to browser based videoconferencing, continues to mount. The popularity of WebRTC videoconferencing is not surprising. People are comfortable using their browsers for all sorts of rich media applications. There is less of a barrier to ask someone to click on a website, compared to having to download and install a client. It makes sense that people are proving to be less resistant to joining video meetings when offered a browser based option. When we learned that Videxio was adding WebRTC support to their virtual meeting room solution, we reached out to CEO, Tom-Erik Lia, to get the scoop. 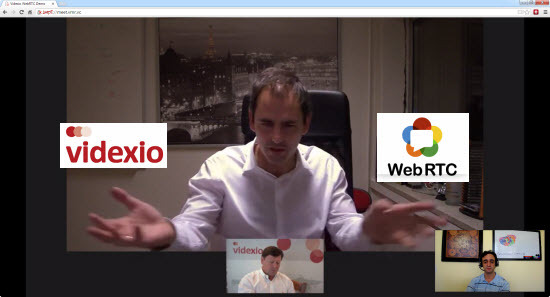 Since seeing is believing, I met with him in a Videxio virtual room, using a WebRTC connection from my Chrome browser. The extended meeting (well over an hour) was high quality, and hiccup free. This was no beta demo, this was a professional meeting experience. 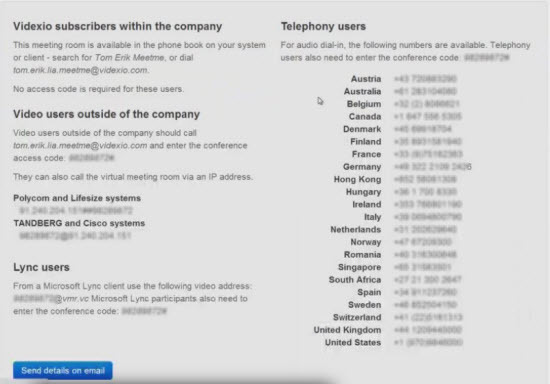 Videxio offers (among other services) a Virtual Meeting Room subscription featuring interoperability with H323/SIP video conferencing, Microsoft Lync & traditional telephony (see dial-in instructions, above). By adding WebRTC support, Videxio extends the reach of this solution to anyone with a Chrome or Firefox browser. 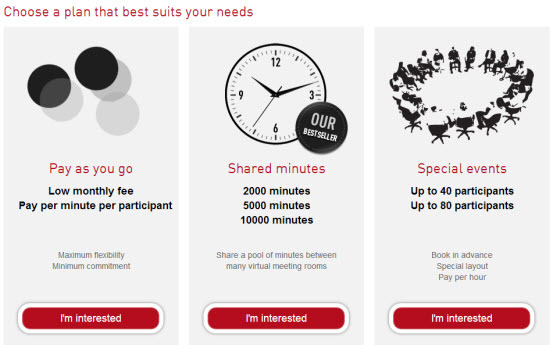 Videxio's Virtual Meeting Rooms are offered under a variety of pay as you go, or unlimited use plans. However, Videxio is really more of a platform play. Today's services providers need to start supporting video for their existing customer bases. Building a video platform from scratch is not easy, even for experiences tech service providers. This is where Videxio is looking to help, by providing an easily white labeled, turnkey, full featured visual collaboration platform with multi-tenant support. A notable Videxio power feature is the use of their global QoS network. While many of today's video protocols do a decent job of projecting video traffic over the public internet, no solution is 100% immune to all potential internet issues. Videxio minimizes the vagaries of the public internet by routing all traffic through its own backbone, QoS network. Most calls will only be on the public internet for the "last mile" to the user's location. What I found even more interesting is that the Videxio service can use its network monitoring data to track problems, even in that "last mile" on the public internet. Tom-Erik showed me some behind the scenes data in their administrative UI, and their excellent diagnostic tools. This type of information can allow a service provider to proactively troubleshoot network issues before they hinder adoption. Tom-Erik pointed out an interesting comparison between the current trends in the collaboration industry, to what happened to the video rental market when Netflix destroyed Blockbuster. The commodity itself only got more popular in the process. People still love watching movies at home, they just switched to a different consumption model. Netflix seized on this, changed the dynamics of watching movies at home, and killed an entire market. In our industry, the dynamic is changing from VC as a pure travel replacement technology, to VC as a natural element in our regular day to day communication. Hardware sales may be slowing as users switch to a different consumption model, but VC itself is getting more popular and growing. The new consumption model for visual collaboration is the virtual meeting room with strong interop. Users have proven to be very comfortable with the "join a room in the sky" workflow, which is not surprising since we have been calling into audio conferencing rooms for decades. Boardroom-style videoconferencing is still very valuable, but only as one of many possible connections to the virtual meeting room. In fact, Tom-Erik noted that his customers with existing hardware solutions report INCREASED use of these tools, when supported by a virtual meeting room interop service. Not surprising that systems get used more, when you make it easier for them to connect with more people. We expect Videxio users will quickly take up the new WebRTC option, and see great collaboration and productivity gains as a result of more communication and teamwork. Service providers looking to add video to the mix should be sure to put Videxio on their shortlist. A notable Videxio power feature is the use of their global QoS network. While many of today's video protocols do a decent job of projecting video traffic over the public internet, no solution is 100% immune to all potential internet issues. Videxio minimizes the vagaries of the public internet by routing all traffic through its own backbone, QoS network. Most calls will only be on the public internet for the \"last mile\" to the user's location. What I found even more interesting is that the Videxio service can use its network monitoring data to track problems, even in that \"last mile\" on the public internet. Tom-Erik showed me some behind the scenes data in their administrative UI, and their excellent diagnostic tools. This type of information can allow a service provider to proactively troubleshoot network issues before they hinder adoption. The new consumption model for visual collaboration is the virtual meeting room with strong interop. Users have proven to be very comfortable with the \"join a room in the sky\" workflow, which is not surprising since we have been calling into audio conferencing rooms for decades. Boardroom-style videoconferencing is still very valuable, but only as one of many possible connections to the virtual meeting room. In fact, Tom-Erik noted that his customers with existing hardware solutions report INCREASED use of these tools, when supported by a virtual meeting room interop service. Not surprising that systems get used more, when you make it easier for them to connect with more people.